Those bastards devoured my fennel, artichoke and cilantro plants! Hello again, dear readers. I’ve been blogging lots in my head these past few weeks, but somehow between mother-in-law and parents visits, teaching, and then this week traveling to Portland for the radio show and the Who’s Who of culinary conferences, actually writing up the posts got away from me. It’s hard to know where to begin again. So why not with slugs? 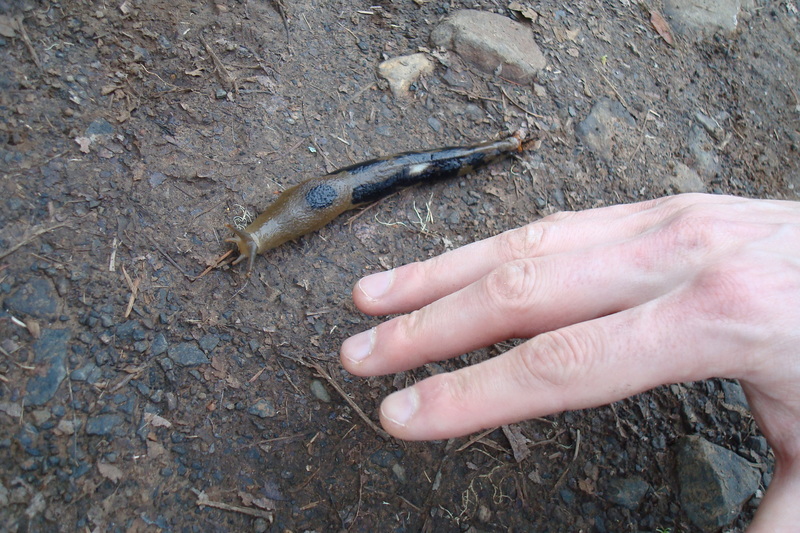 This spotted slug crossed our path on a hike. The slimy mollusks plague our gardens out here in the Pacific Northwest this time of year. Though primordial creatures have devoured new cilantro and artichoke starts I planted. They really bring out your violent carnivorous side. En route to the compost bin at night, I’ve taking to smooshing any ones I find. I delight in their death. I’ve tried scattering gumballs in the beds, set beer-traps just this week and today finally resorted to Sluggo. If only we had backyard chickens. They would make good use of the protein. Lagniappe with your organic produce. But I have no interest in eating slugs. Apparently, you can eat them, if you first boil away their slime and then remove their digestive gland and some internal protective shell. I think I’ll pass. They might be served at this upcoming wild-crafted Slow Food Corvallis dinner that for some reason didn’t quite appeal to me. Sure, I’m a hypocrite. I’ll eat garlicky escargot (not that I do frequently). But I won’t touched slugs. Other than those I inadvertently consume while eating organic cabbage and salad greens. Consider them lagniappe that come with your fresh farmers’ market produce here. La Grande Dame of food writers MFK Fisher perfectly captures my sentiments in her essay “Fifty Million Snails” in her first book, Serve It Forth. 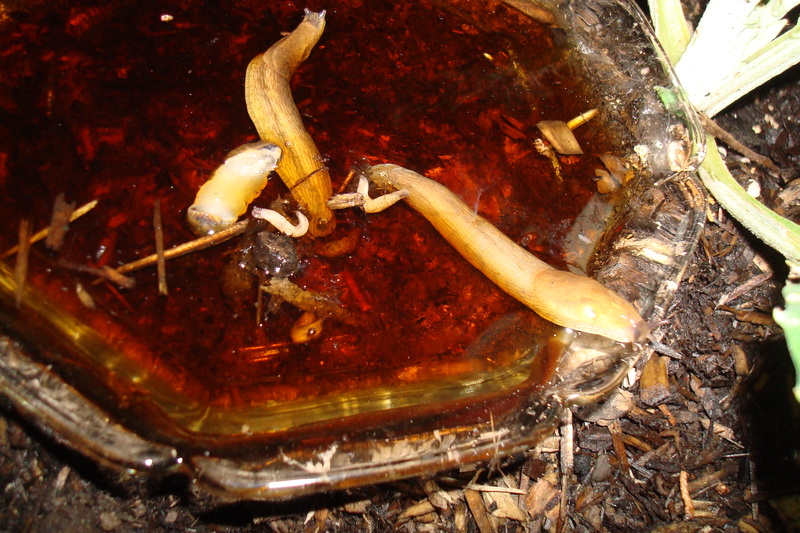 I have tried to be callous about slugs. I have tried to picture the beauty of their primeval movements before a fast camera, and I have forced myself to read in the Encyclopedia Britannica the harmless ingredients of their oozy bodies. Nothing helps. I have a horror, deep in my marrow, of everything about them. 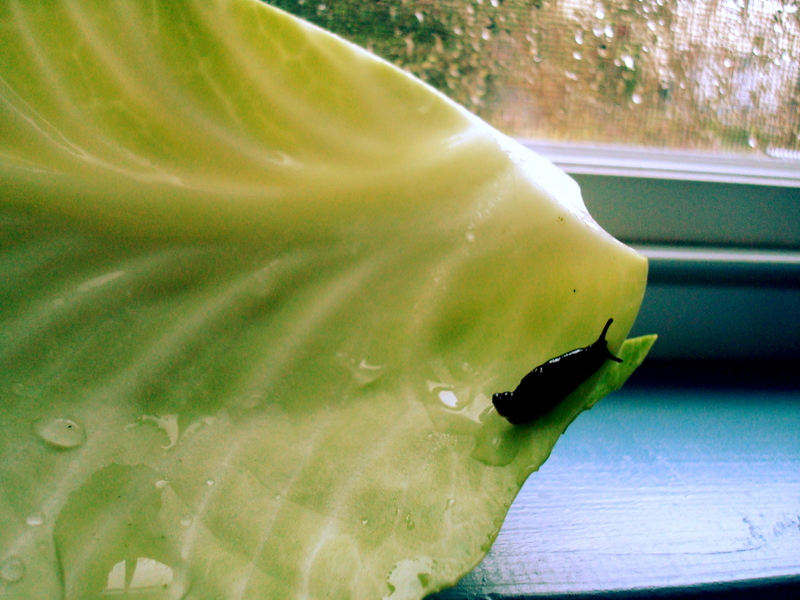 Slugs are awful, slugs are things from the edges of insanity, and I am afraid of slugs and all their attributes. Thanks Judy! I’ll try beer again. I hate to waste the good microbrew we have in the fridge…I’ll have to buy some Bud for that purpose. You have slugs back East? I thought they were a West Coast problem? !